Verdugo’s Graduation ceremony will take place Thursday, June 7th at 6:00 p.m.
Gates will open at 4:30pm. 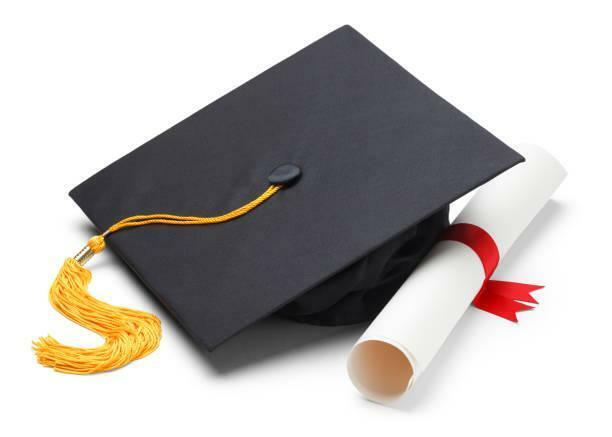 Graduates must report to Verdugo by 5:00p.m. Once seniors have filled his/her clearance form, he/she will be able to pick up caps and gowns and tickets starting on June 6th after the first rehearsal ceremony. There are 2 MANDATORY rehearsals. The first one will be on June 6th at 8:00am and the other one on June 7th at 8:00am. The senior breakfast will take place on June 7th after rehearsal. Each student will be allocated 5 tickets (wristbands) for graduation. These bands will be GREEN and will be bleacher seats. Extra wristbands can be purchased for $15 at the student store before graduation and the day of the graduation at the Irma gate. Those wristbands will be ORANGE and the seats will be on the football field. WRISTBANDS MUST BE WORN IN ORDER TO BE SEATED. Wristbands will also be sold on the day of the event at the gate on Irma starting from 4:30-6:00pm and at the student store from 4:30-5:30pm. Please keep in mind that NO balloons or blowhorns will be allowed into the event. Also, students should not decorate his/her graduation hat or wear any type of leis. Flat shoes are recommended, as the ceremony will take place on grass. Parking is available in various locations around the school. There is also street parking. Handicapped access will be located on Hillrose. CARPOOLING or UBERING is HIGHLY recommended, as parking is limited. Handicapped seating will be available. 1 companion seat will be provided. A photographer will be taking pictures. To Order photographs online visit www.hallowellphotography.com Password is 4376. Username is VHHS 2018. Please call Ms. Gabriel at Verdugo at 818-951-5448 with any further questions regarding the graduation ceremony.